NBC 7 Responds analyzed a 14-month period of customer bills and found nearly three-thousand homeowners saw their bills increase by 100-percent or more. The city says these increases are normal. NBC 7's Consumer Bob reports on on what the city has to say about the billing spikes. In January 2018, homeowners packed local libraries and community centers across the City of San Diego to find out why their water bills had increased suddenly. The city’s reasons for these usage and billing spikes varied. They told customers that the increases could be due to higher water rates, longer billing cycles, leaks inside their homes, and higher usage attributed to “relatives visiting for the holidays". 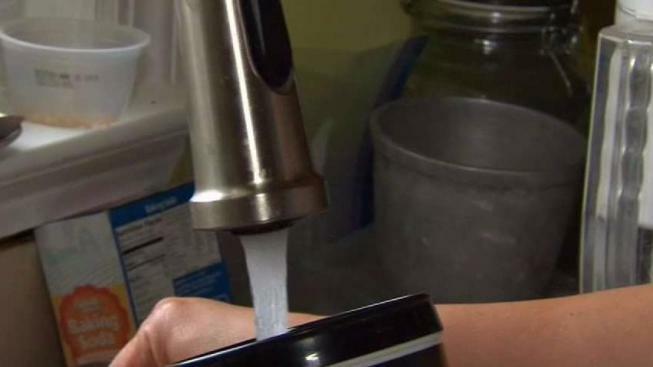 NBC 7 Responds and media partner Voice of San Diego analyzed customer billing data and found that nearly three-thousand customers were charged for more than double the amount of water they normally use. Some customers saw an increase of 500-percent or more from one billing period to the next. Up to this point, the city has only acknowledged 343 customer billing mistakes, attributing it to their meters being misread by a city meter reader. In a statement, the city admitted that some of the 2017 and early 2018 billing data is correct but said: “data alone does not tell the full story.” In order to tell that story, the city said that additional context is needed since the analysis only focused on a 14-month period. NBC 7 Responds has submitted a public records request for that information as well. Jerry McCormick, a spokesperson for the Public Utilities Department, said customer billing “spikes” are common. Among the reasons for “spikes”: human error when reading a water meter, changes in the weather, or “a child home from college for the summer”. To see our results mapped out across the city, look below or click here. The charts in the map above represent the number of customers who were charged a percent increase from one bill to the next. Analysis includes water billing data from January 2017 through February 2018. In order to perform the analysis, NBC 7 Responds and Voice of San Diego filed a public record request in February for the city’s customer billing database. More than three months later, the city released the data on the condition that personal identifying information was deleted. Instead, the city assigned a unique number to represent customers and their zip code, from one billing period to the next. Tens of thousands of customers had billing increases, but our analysis took a more conservative approach by focusing on increases in water use and charges among single-family residences that were 50 to 70 days apart, to account for the city’s bi-monthly billing cycle. The analysis also focused on customers who had bills that were initially $80 or more. Using these parameters, more than 2,600 customers saw a water use increase of 100-percent or more. Those customers saw average increases of $238 from one billing cycle to the next. Our analysis found the highest number of increases occurred in neighborhoods like La Jolla, Scripps Ranch, and Rancho Bernardo, where homeowners first raised alarms over high water bills. NBC 7 Responds found that those same zip codes had the highest number of smart water meters installed. The new water meters, also known as an Advanced Metering Infrastructure (AMI), is an estimated $60-million dollar program aimed at converting manual-read meters to new electronic meters that relay water-use wirelessly. However, NBC 7 Responds cannot confirm that the smart meter installations caused the billing increases. The city denied our public record request to provide the addresses for those customers that saw steep increases on their water bills, something required in order to see if there was a link between homes with newly installed smart meters. These billing increases happened primarily in spring and summer of last year. In one case, a customer in La Jolla saw her bill increase from more than $3,000 down to $100, only to rise to more than $6,000 from January to May 2017. But the problem was also seen in older neighborhoods as well. In City Heights, more than 60 customers saw their bills increase, with most customers seeing increases between 101 and 200-percent. NBC 7 Responds asked the city for customer billing data going back to 2015. We will report on our findings when we receive that information. To read the city’s full statement regarding our analysis, click here. Since NBC 7 Responds began asking questions about customer water spikes in July of 2017, the city has changed it’s procedure in testing water meters. The city has also forgiven bills caused by sudden spikes in homes from Rancho Bernardo, Mira Mesa, Tierrasanta, Liberty Station and more. One step the Public Utilities Department took in light of public scrutiny over the department’s billing practices was to hire an outside consultant, West Monroe. Records show the city contracted West Monroe for $250,000. The city said West Monroe has found local customers seem to be returning to pre-drought water usage patterns. The city pointed to increased usage, among a water rate increase that went into effect at the end of last year, as factors leading to higher customer bills. West Monroe’s findings are expected to be finalized later this month and at that time, will be presented before the city’s Environmental Committee. That presentation is tentatively scheduled for August 2. Kenny Jacoby contributed to the data analysis included in this article. Correction: An earlier version of this story said $80 was the average bi-monthly water bill in San Diego. Surveys have found it’s roughly the average monthly cost of water, but the city bills customers every two months.